Rice planting is hard work. Standing the the mud above your knees, bended down and planting two to three baby rice spears in a 15 by 15 cm grid all day long. 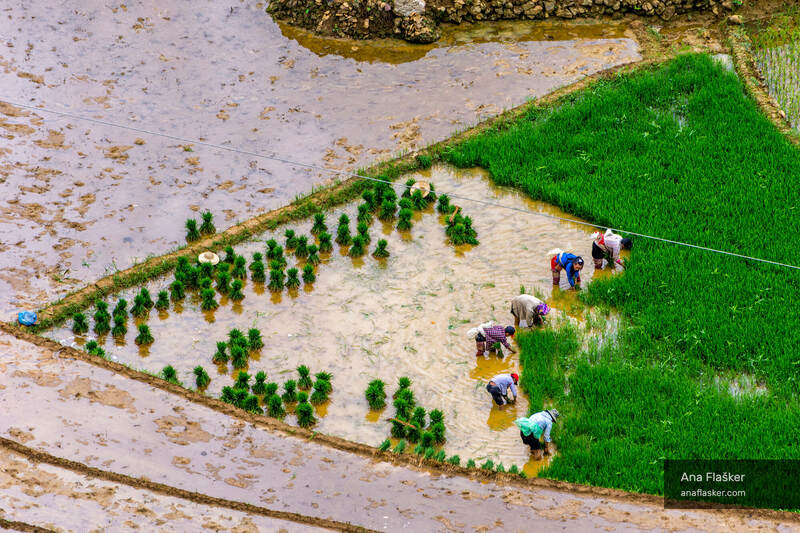 Rice paddies in Sapa valley emerge into real “land art” as a result of hard work.